NOTE: On June 4th 2014, I emailed a link to where the photos are stored to those that I took their photos in Carnegie House. These photos are large in size and will make good prints. If you had your photo taken but you have not received my email, please contact me. On Saturday 31 May from 10am - 5pm the Hut 9 Preservation Group held an Outreach Event on two floors at Carnegie House (old Library) in Bridgend town centre. There were displays, talks and living historians. It was an opportunity for us to tell the story of the occupation of the camp and to raise awareness of our plans. It was a free event but your donations were gratefully appreciated. THANK YOU for the support! 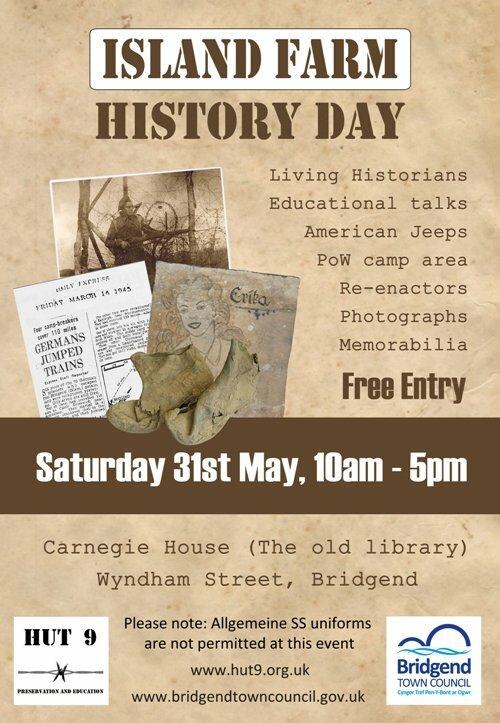 Very special thanks to all the living historians who have agreed to come along and contribute to our Outreach Day at Carnegie House in the centre of Bridgend. 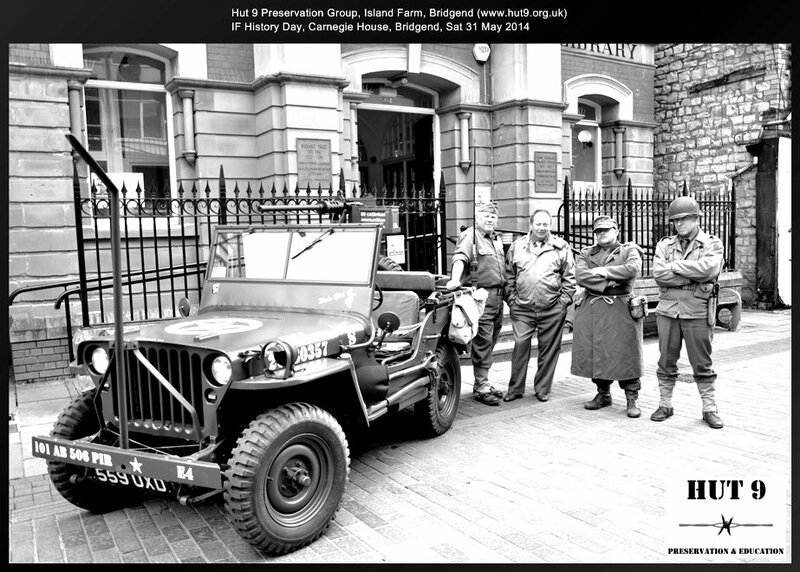 * STOP PRESS * We have got permission to bring an American Jeep in town; it will be parked outside Carnegie House. 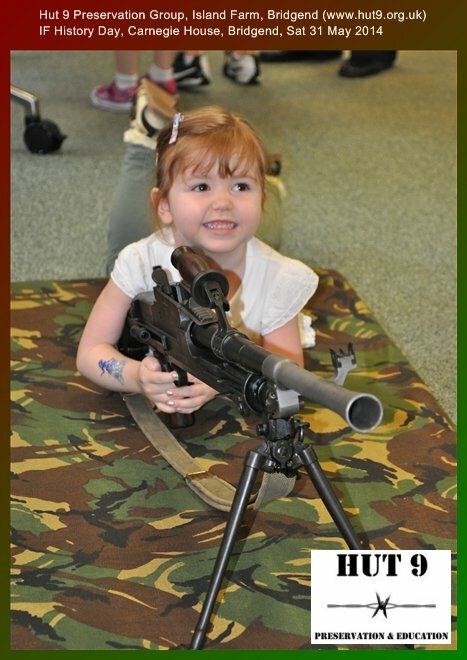 Your support is very much appreciated by the Hut 9 Preservation Group!